Home / Posts Tagged "Bid’ah"
Question 206: What is the ruling on celebrating non-Muslim holidays like Christmas or any other Kuffar holidays? Just curious. Question 022: Is Imam Mahdi (ajtf) going to bring a new Shari’ah? Question 017: How do I explain to my Muslim brothers that responding loudly after the Sheikh, during prayers is not part of Islam? Answer 017: As for the Islamic laws, such as prayer, khums, zakat and etc., can only be determined by the divine legislator (share’: i.e. the acts of worship in which the contents (of prayer and etc.) are determined by the Holy Quran and traditions from the Holy Prophet (pbuh) and his household) which is called Ahkam Tauqifi, one who even has deep knowledge about Islam is unable to add anything other than what has been ordered by the divine legislator. In prayer, one must not recite anything other than ‘ḏikr’; otherwise the prayer would become void. Just as the Shia have obtained all the rest of their teachings through the instructions and commandments of the Prophet and his household (pbuth), in this matter too they act in accordance to their instructions. Finally, it is necessary to mention that according to Shīʿah Islamic law, it is not actually compulsory to say ‘Alḥamdulillāh rabbi al-ʿālamīn’ after ‘al-Hamd’; it is just mustahabb (recommended) . However, most Sunni schools of thought consider it an obligatory part of prayer, hence the onus is upon them to verify their claim through the Qur’ān and Prophetic Traditions. This group of traditions cannot be trusted due to the fact that the chain of narrators includes Abu Hurayrahh. Alī (as) says the following about Abu Hurayrah, “The most dishonest person in relation [to attributing lies] to the Prophet (saw) is Abu Hurayrah” (i.e. he fabricated many traditions and attributed them to the Prophet (saw)). With the existence of such weak and unreliable narrators in the chain of narrations, these narrations have no credibility and cannot be trusted. In reply to this, it must be stated that this phrase only becomes a supplication if it is recited with the intention of supplicating, however those reciting it intend for it to be a part of the prayers and the Quran recited therein, not as a supplication. Furthermore, if it were permissible to recite every supplicatory phrase for example ‘rabbanā aghfir lanā wa qinā ‘adhāba al-nār’ with the intention of supplicating, then it should also be permissible to recite Āmīn after every supplication, yet no one [of the scholars] holds this view. Tusi, Muhammad bin al-Hasan, al-Tahdhib, vol. 2, pg. 74. Tawdih al-Masa’il (annotated by Imam Khomeini), vol. 1, pg. 617. This ruling is agreed upon by all the respected jurists.
 . Baydawi, Naasir al-Din Abu al-Khayr Abdullah ibn Umar, Anwaar al-Tanzil wa Asraar al-Ta’wil, vol. 1, p. 32, Ihyaa’ al-Turaath al-Arabi Press, Beirut, 1418 AH.
 . Abu Hurayrah Abd al-Rahmaan ibn Sakhr al-Azudi (22 BH-59 AH): eight hundred Sahaabis and Taabi’is have narrated from him. During his rule, Umar appointed him as governor of Bahrain, but due to his weakness in character and leniency, he was dismissed from this responsibility. He spent most of his life in Medinah. Taqiyuddin Sabki has a booklet entitled “Fataawaa Abi Hurayrah”, and Abd al-Husayn Sharafuddin has a book entitled “Abu Hurayrah” on him. (Al-A’laam 4/80, 81). Hujjati, Asbaab al-Nuzul, p. 216.
 . See: Ibn Abi al-Hadid Mu’tazili, ‘Izz al-Din Abu Hamed, Sharh Nahjul-Balaghah, vol. 4, p. 68, Library of Ayatullah Mar’ashi Najafi, 1956, first edition.
 . See: Sultani, Abd al-Amir, Hukm al-Ta’min fi al-Salah, Ahlul Bayt World Assembly, second edition.
 . See: Sabzawari, Ali Mu’min Qummi, Jaami’ al-Khilaaf wa al-Wifaaq bayn al-Imaamiyyah wa bayn A’immat al-Hijaaz wa al-Iraaq, Zamineh Saazane Zuhure Imam Zamaan Press, 1421 AH, first edition, Qum. Question 013: What is the Ahlulbayt’ (pbuth) point of view regarding Tarawih prayer, considering that it is prevalent among Ahlul Sunnah? 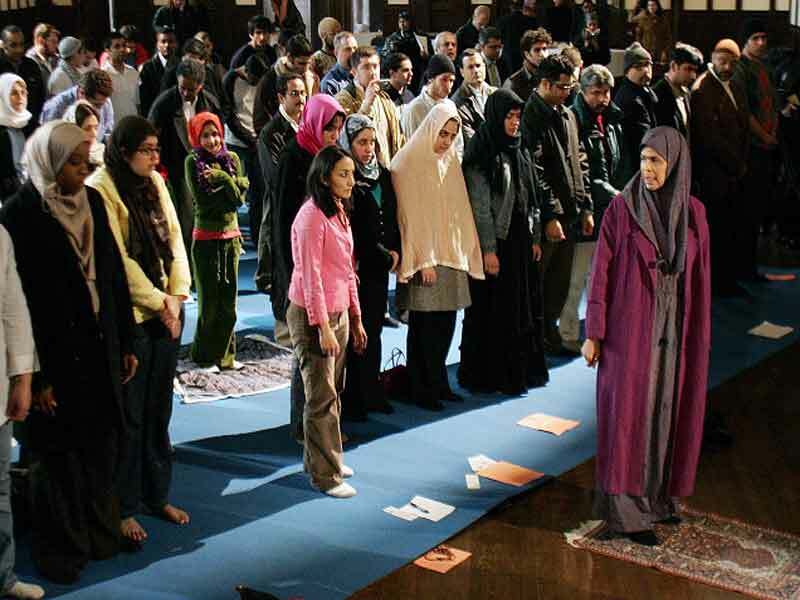 Is Offering Tarawih prayer in Congregational a Bida’ah? 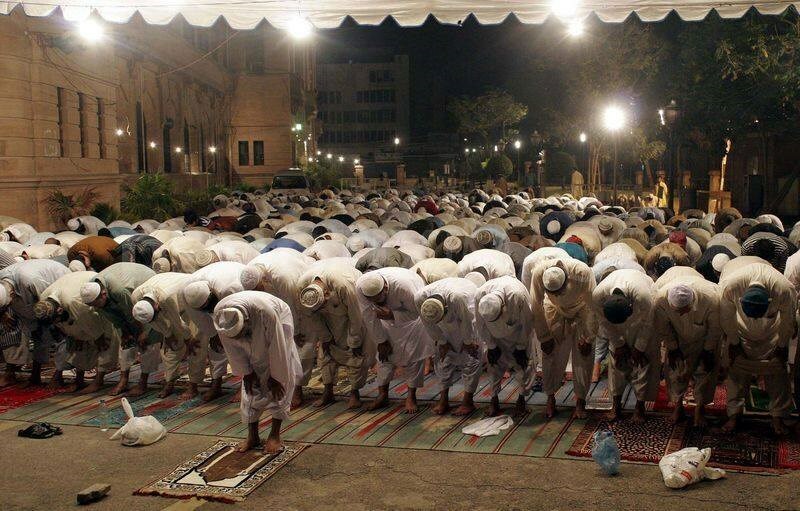 Tarawih prayer is offered by Ahlul Sunnah in congregation, ordered by their second caliphate. The prayers are offered in two or more raka‘āt. 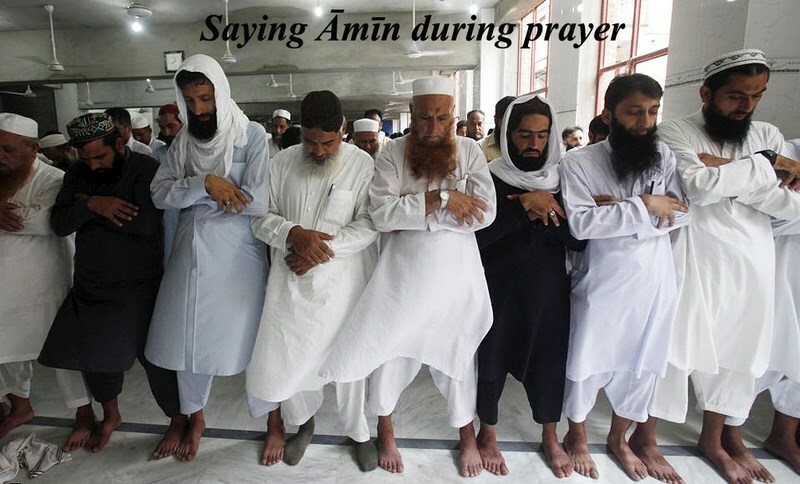 The Holy Prophet (saws) of Islam never offered such prayer in congregation, according to some traditions that have been narrated from Ahlulbayt (pbuth). Moreover, offering Nafila (mustahab) prayers in congregation are considered as bid’ah, that we are forbidden to do, according to the traditions. Index: Tarawih and Row in congregational Prayer, answer 008.
 . Sa`di Abu Habib, al-Qamus al-Fiqhi Loghatan wa Istilahan, Pg. 155.
 . In this regards please refer to: Ibn al-Sharaf al-Noori, Sharhul Arbaeen al-nawiyyah fi al-Ahadith al-Sahihat al-Nabaviyah, Pg. 25.
 . Refer to: Al-Hurr al-Aamili, Wasael al-Shia, Vol. 8, Pg. 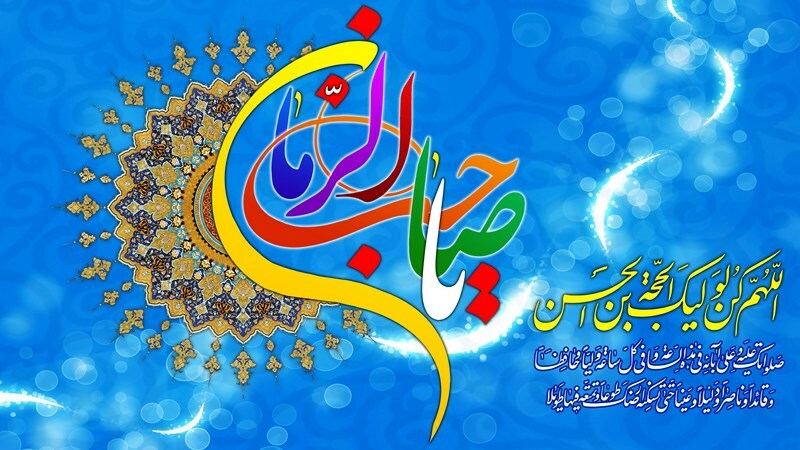 44, Chapter “Adam e Jawazel Jamaat fi Salatel Nawafil fi Shahr –e- Ramadan wa la fi gheirehee”; Ayatollah Jafar Sobhani, al-Insaf fi Masael e Dama fiha al-Khilaf, Pg. 381.